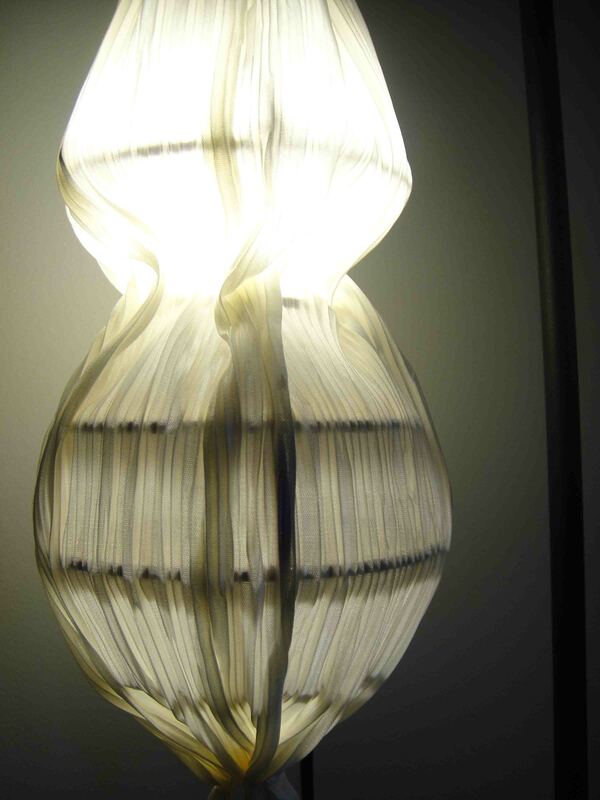 A jellyfish firstly inspired the creation of the lamp. This idea was further developed where by skinning formed a package of sorts. This package would be solid when switched off but when switched on exposes the structure of the lamp. Firstly created in Rhino, the lamp started to take shape after a few attempts using different types of scripts to construct the lamp. The curved lamp option was selected and laser cut. 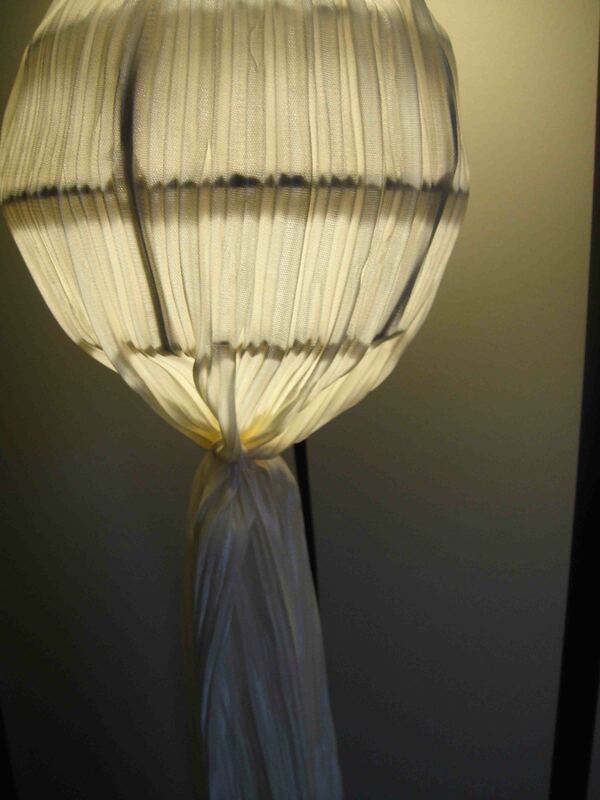 I then decided to skin the lamp with a ribbed material that would create pattern and shadow once the lamp was switched on. 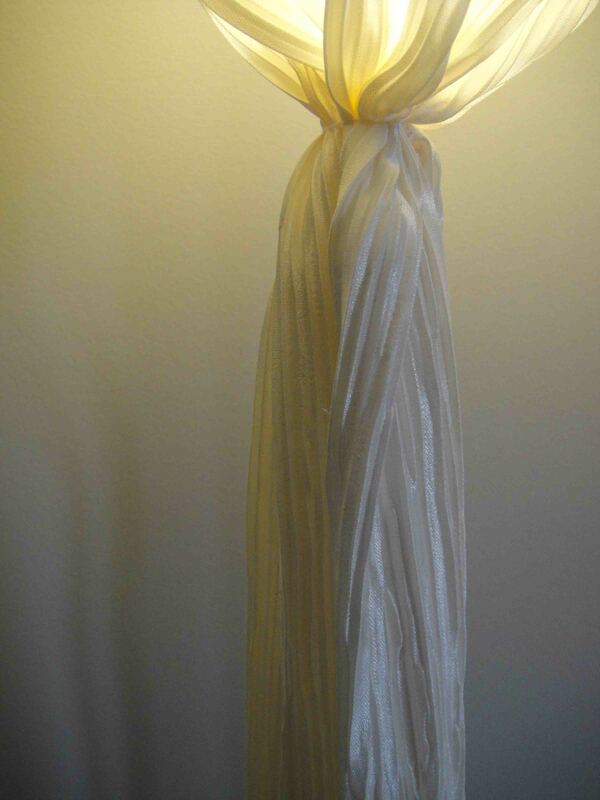 Using gathering techniques and hand sewing to produce the lamp’s ‘skin’. I have also used a compact fluorescent globe in the shape of a candle for a subtle glow. I think this project was an effective learning curve for me and the product was pleasing.